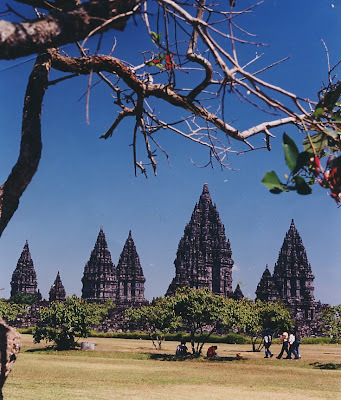 about indonesia: Mystery of Prambanan, Is He Built as Holy Water Temple? 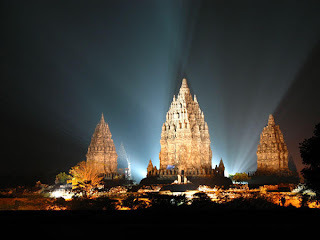 Mystery of Prambanan, Is He Built as Holy Water Temple? 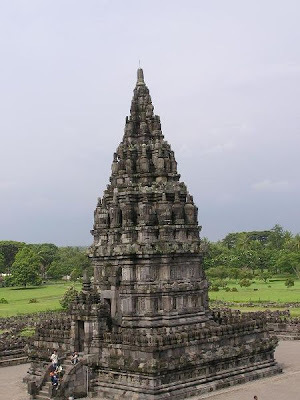 Exposure Crawfurd (1820) originally gave the calendar to Prambanan temple "did not originate from a very remote antiquity"; estimates were around the 12th century or 13. 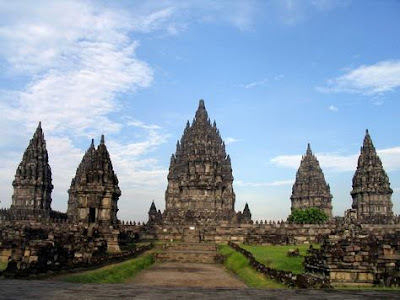 But experts further argued that the famous temple is also known as Loro Jonggrang temple was built around the second half of the 9th century or the beginning of the 10th century, namely in times of dynasty rule end dynasty in Central Java. Later, based on the translation of the Old Javanese inscriptions pertaining to the inauguration Sivagrha 'Abode of Shiva', De Casparis (1956), an expert in epigraphy, affirmed his stance dating to 856 AD. Dating postponement of course a consequence of the lawsuit on the theory that emphasizes development as a rival Loro Jonggrang Borobudur Temple. 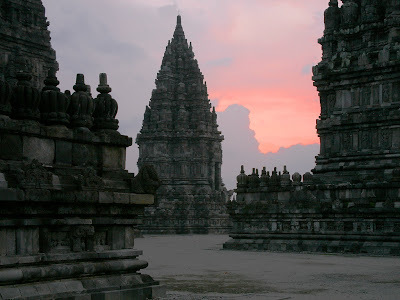 The existence of the Prambanan complex that does away with a kind of Buddhist temples Sewu, Plaosan, and Sojiwan, and the inscription which mentions Rakai Pikatan from Wangsa Sanjaya who was married to the daughter of the House of dynasty, seems to reinforce arguments for the existence of religious strife between the two families. 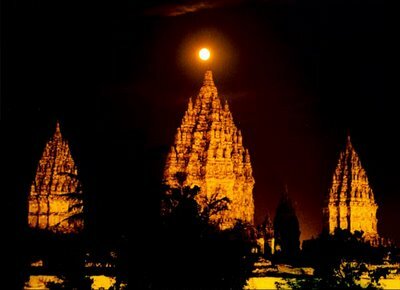 Through an edited book, Praise of Prambanan, Roy Jordaan offer ideas and views on other possibilities. Praising the book first Prambanan is present in the English edition under the title In Praise of Prambanan: Dutch Essays on The Loro Jonggrang Temple Complex in 1996 by KITLV Press in Leiden. Roy Joordan who acted as his editor, dividing the book into two parts. 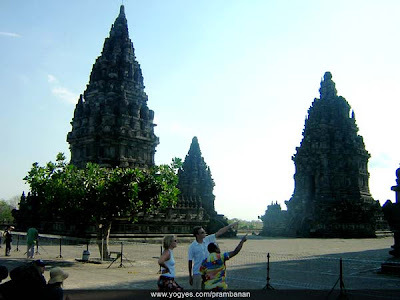 First, it presents a long description of Prambanan in a fairly detailed review. And second, he was loading a number of writings of Dutch scholars who reputedly became closed because of the publication is still in Dutch. 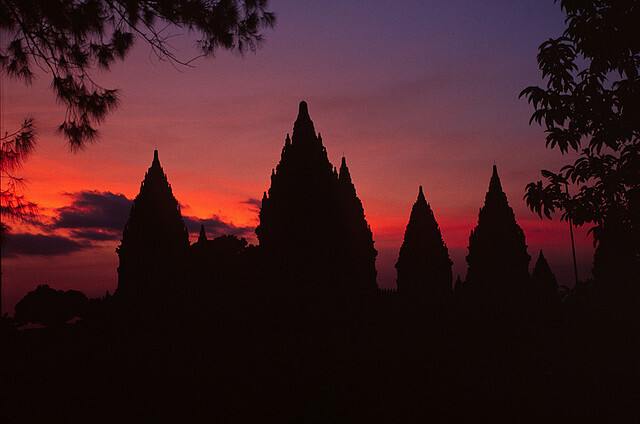 It is common that many scholars who discuss and Prambanan temple architecture connects with Mount Meru, the abode of the gods. Stutterheim (1929) revealed that the idea of Meru revealed very clearly in the Temple of Loro Jonggrang. In the temple that we can find relief about the tree of heaven and lions at the base of the temple, the singers, dancers, and musicians heaven on the railing, the guardians of the wind at the foot of the main temple building, as well as statues of the gods who are placed in the recesses and on the inside of the temple. The overall composition implies a mountain of the gods. The study of literary works such as Ramayana Kakimpoi also significantly bolster the opinion of the symbolism of the temple with Mount Meru. Roy Jordaan mentions that the translation Poerbatjaraka (1932) on the Ramayana text, provides a story about benchmarking temple with Mount Mandara, the mountain which in many ways similar to the Mount Meru-through reports Hanuman eye. But one thing is very attractive to Jordaan. When looking at these ancient literary works, he was so stunned by exposure to stories that emphasize the myth Stirring Ocean Milk: Hanuman saw, "commensurate with the crystal Temple Mount Mandara, the page is like Ocean of Milk. Jewels and pearl like buihnya; the clear cold water bath drink of the gods (who pops up from the Ocean of Milk is stirred). Roy Jordaan to wonder, whether designed as a temple of Prambanan temple holy water (holy water sanctuary)? A number of evidence relating to the restoration of the temple during this page in its history is often a difficult question the puddles dry up. Description Krom (1923) explained that the fence in the fence-page large temples at Prambanan wall design does look to have a strong and sturdy. Jordaan maketh the wall by the evidence as tamwak wall (dam or dams), which supports the hypothesis about the temples of Prambanan as holy water. Jordaan also see that the inscription Loro Jonggrang vaguely offensive about the movement of birds and the traffic of merchants and village officials who come to bathe for believing in magic protection (siddhayatra) and blessing (mahatisa) of water in there. At least jaladwara (guttering) seems to also show evidence that does not require rapid passage of water from the pages of the temple. Roy Jordaan even imagine. 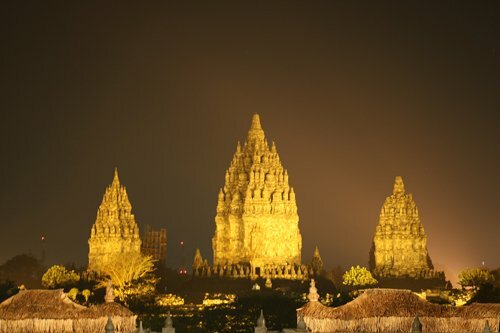 If Loro Jonggrang and Sewu was designed as part of a complex large-scale worship, surely the whole region is the "Holy Land" which is dedicated to the "Spirit of Jagat" ("He is the Absolute") or Parambrahma (n)-word later in later became the Prambanan. Presumably not excessive if it is not just Prambanan that deserve praise. We, too, deserves praise persistence editors who've struggled to probe the stack of information that was almost thrown. Roy Jordaan with his expertise has been successfully lifted and the couple returned a number of interesting sources ever written past the experts who have grappled with the stones of the temple on the border was DIY-Jateng. It is estimated that new research will emerge again to uncover the mystery of Prambanan.